Never retire philosophy | Can it be challenged by the work place? I started down the path to financial independence at about the age of 30. I was pretty good with my finances before that. Not great. Just pretty good. However, the grind of work made me dream of a better way of life. Mrs. DD (my wife) and I got married a few years later. She and I shared similar thoughts about personal finance and how it could shape the future. So we doubled down on our careers, worked hard, increased our earnings, saved and invested for a better way of life. As the years passed, financial independence became a reality. With that reality came serious thoughts about what we would do with our time. Neither of us were comfortable with a life devoted to leisure and travel. And, retirement seemed like a concept for older people not a couple of 40 somethings. We wanted to retire happy. Mrs. DD left her corporate career first and started working part time at a public library. While doing so she earned a master’s degree in Library Science so she could pursue professional positions in that field. A few years later, I left the corporate world and went back to school. I earned a master’s degree in Accounting so I could teach at the college or university level. Our work, but never retire philosophy started to take shape. We were on a path to working in our dream jobs. Not jobs with the sole purpose of competing in the business world to maximize our compensation. Fast forward a few years later and by coincidence we ended up working at the same university. Mrs. DD is an academic librarian and I teach graduate courses in accounting and business. We even sold our house last year and moved to reduce the commute time to our academic employer. If you keep up with higher education, you might know that enrollment is dropping at many schools. The millennial generation has pushed through the educational system. The economy is at full employment so the pool of potential students choose to work rather than further their education. Our school’s enrollment has been no exception to these trends. This spring our university completed a significant cost cutting initiative to right size staffing and costs for this new reality. It has impacted both of us. The university library staff was reduced from 14 to 10. Of the remaining 10, 2 were asked to take 10 month contracts. Thus, they were furloughed with out pay during the summer. Employer 401k contributions for all benefit eligible employees were reduced by more than 50%. Mrs. DD was one of the lucky ones. She made it through the staff reductions. Her compensation will only be effected by the reduced 401k contributions. However, she will pick up more responsibilities to account for the reduced staffing. I have been teaching at the University for about 4 years. I work on a part-time contract per course basis. It took me a couple years to build my teaching schedule to what I considered an optimal level for me. The graduate business school operates on a quarter system and for the last year and half I have taught 2 classes per quarter. With preparation, class time and grading that schedule worked out to about 800 hours of work per year. Perfect for me. Just enough to make a little money, stay engaged and do something I like. But, still have plenty of free time to do whatever I choose. Unfortunately, due to the lack of enrollment, my summer classes have been cancelled. For the first time in the last year and half, I’m not teaching this quarter. On the other hand, I have 2 classes scheduled for the upcoming Fall quarter. They will probably meet the minimum enrollment numbers, but there is no guarantee. If not, they may be cancelled. 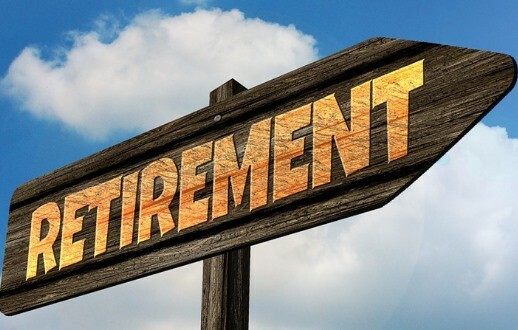 For another perspective on challenges in the work place, check out Caroline’s article at Money Scrap: Could Getting Laid Off Be The Right Opportunity For Me To Retire Earlier? Readers, have you or a close family member experienced a job loss due to downsizing? How did you handle it? Did change create new opportunity? Do you agree with the never retire philosophy? Or, for a bit lighter conversation, what should I do with my free time this summer? Work on my sun tan? I just forwarded this post to me dad; he just retired a couple of months ago, but I think he’s going to want to at least consider finding something to do on a part time basis (at least for his own safety from my mom because of too much time at home…). I also don’t see myself stopping work. However, I’m just shy of 34, so I do have a long way to go even if I did want to fully retire. I would want to eventually get out of corporate work and do some teaching or something different when I get closer to 50 or so. On your free time for summer, go to a free first class at Orangetheory. Whether you join or not, spend some time taking care of yourself: sleep-in, go walking, whatever – enjoy the nice weather 🙂 . Hi Tom, a great post, and excellent topic. Financial Independence provides the choice. I’m glad to hear, you and Mrs. DD both enjoy what you are doing. Yeah, college is a better working environment. As you mentioned, it’s still not immune to some of the business challenges. Regarding your summer break, I have a suggestion: enjoy the World Cup soccer. Have a great break! Sun tan all the way!!! Sorry to hear about the classes being cancelled, hopefully it is just for the summer and you will be right back in no time. As you know (and thanks for the mention), I am still waiting for my formal notice. I think I am more than ready for it now and totally determined to keep working, just not sure about the details yet. I may go back to school for a while (you know to help with attendance:)) I think it will create lots of opportunities for me. I was just joking about the sun tan Caroline. My dermatologist told me to stay out of the sun and others have told me that I don’t look as good in my speedo anymore (don’t picture that). But we do have a summer hiking vacation planned to Colorado. We scheduled it during my normal break between quarters so that’s a go regardless of the teaching schedule. On an unrelated note, I was just brainstorming about a post or two about going back to school. Probably will do that closer to fall to make it a little more timely. Did you ever see the movie with Rodney Dangerfield called “Back to School”? I guess I’m just like Rodney. I never saw the movie. I guess now I should! Have a great day Tom. Sorry to hear about these changes and how they have affected both you and Mrs. DD. Still, if I read right, I’m glad to know that you’re financially independent and better able to weather them. As you say, change is the only constant – the guy that runs my meditation app says “everything is always changing”. Can’t stop change. Need to be able to roll with the punches. One of my professors was talking one day about how a lot of schools are transitioning to PhD only professors and going away from the adjunct professors. I don’t personally agree with this, as I see great value in someone who has successfully been in the working world for 20+ years over some kid who is good at passing exams that may have never held an actual job to put the teachings to use. Hope your school doesn’t go that route any time soon so you are able to keep doing what you like to do. Although that may end up costing the school more money and harder to find teachers who fit the qualifications. Geez I’m sorry to hear that the summer classes have been canceled. Hopefully you will be back to work in September! You could amp up the hours spent on your blog (you know, like put in 60 hour weeks) if you worry about the sun tanning. Or you could take your computer out and blog on your patio. I know what you mean about having FI on your own terms. It’s never a nice feeling to be canceled. Mine was pretty mild. I was freelancing for the new owners of my old blog when I got fired pretty much haha. I didn’t feel good but then I started my own blog (and then I remembered why I sold it in the first place haha). Your career changes are exactly why I am diligently working towards FI as I don’t want to stop working but want to pursue areas of interest (something I’ve always wanted to do is run a non-profit that helps people create a plan to get out of debt and get themselves on the path to FI). When my dad retired a number of years ago, he took some time off and then started his own business. Sorry to hear about the classes being canceled and the stress of going through that situation. Need to search your site for feedback on accounting as my younger son is interested in that as he is starting to look at colleges ahead of his senior year. I was just recently laid off from my old job, but having a strong network landed me a job before my end date and my commute went from crazy to nothing. Enjoy that hiking trip! That is our favorite family vacation, although we tend to be partial to the Smoky’s. Thanks, I have been to their site but will re-read their bio’s with fresh eyes now that I’m thinking about my son’s interest. He seems to be keen on forensic accounting right now. I may take you up on that offer to chat off-line. Hey Tom. I’ve been part of a job loss due to downsizing and cost-cutting measures. I think if I hadn’t been working to FI, then I would have had to leap for any position after the layoff. During the time off, I considered going into business for myself, but I keep coming back to wanting to end my career on my terms – which causes me to refocus every time. You have the summer off so that’s not bad, eh? Hey, Tom. Sorry to hear that you and Mrs. DD are collateral damage in the slowly deflating college bubble, so to speak. Not fun. But this post is a remarkable example of the power of FI. Because you are FI, the financial hit you and Mrs. DD are taking is an annoyance. It’s not a crisis. Hey, any chance your college will alter its business model and offer semester-length seminars on topics like personal finance to laypeople? It could be a great way to boost revenues and help those who crave knowledge but neither want nor need a degree. Totally onboard with the never retire philosophy. If you can hit FIRE, why stop? The work we do now can build a foundation to springboard intergenerational wealth from and set our families up for generations to come. Of course, there’s more to it than ‘never retiring’, But keeping active and earning helps not only our wallets, it positively impacts our minds and bodies too. 100% about the balance, There was a time when I was addicted to work and money. Working 90 hours in a week blue collar job doing something I hated. It near killed me (literally, I was nearly chopped up in a fan once!). It did some good for my wallet and NW, but my body, mind and relationships suffered. Now we run our own businesses and have enough income from our assets to live off of. I still enjoy money (who doesn’t?) but now Mrs Bull and I are using it as more of a tool to build our family dynasty off of. Creating intergenerational assets so we can give our kids a great (but not too easy!) start.